There's a very good reason why we decided to go on a San Blas sailing trip - For anyone looking to travel from Central to South America via the Pan American Highway will ultimately run into the same barrier – The Darien Gap, a huge area of dense jungle and swamp, 160km long and 50 km wide, separating Panama from Colombia, making conventional road travel between the two countries practically impossible. So, it’s safe to say that this was not going to be the route for us! This left us with the choice between flying, or finding a sailboat to take us on a San Blas sailing trip from Portobello, Panama to Cartagena, Colombia! We are simply bloggers who traveled with Ave Maria and loved it (read on to see for yourself!) We do not organize bookings! 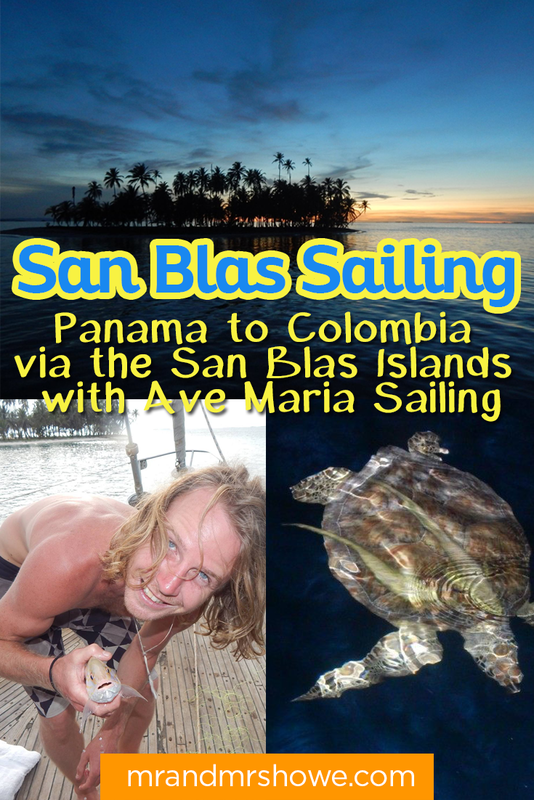 The most relaxing and enjoyable – Take a private sailing boat for five days across the Caribbean from Panama to Cartagena via the incredible San Blas Islands - $525 to $575 p/person. We woke up early with the rocking motion of the Ave Maria as she glided up, down and across the waves. 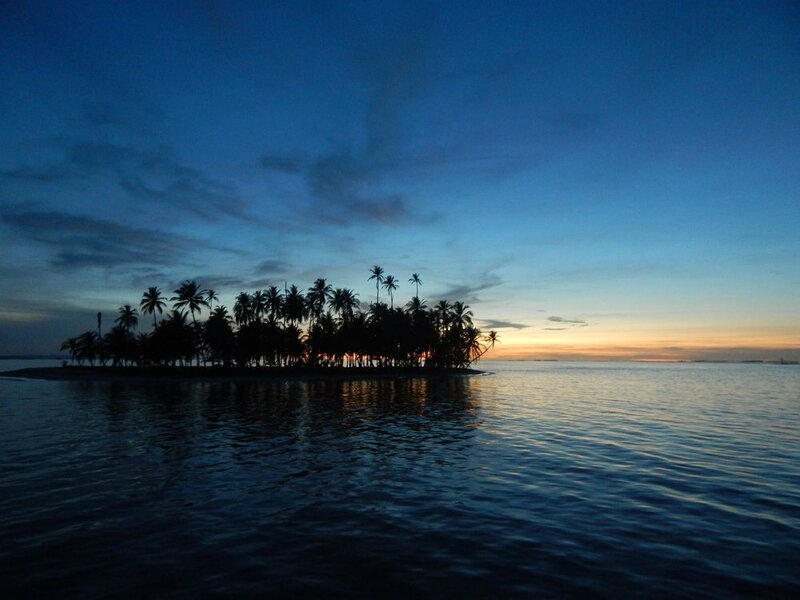 When we climbed out onto the deck, we could already see an archipelago of small San Blas islands in the distance - clusters of palms hovering on the surface of the shimmering water encircled by white-sand halos, like an epitome of lonely bliss. This was exactly what we had come for! Sindry prepared a fresh and healthy breakfast of muesli, cereal and fresh fruit, which we ate outside in the cleansing salty air. As we arrived at our first stop, Coco Banderas, the weather began to turn. 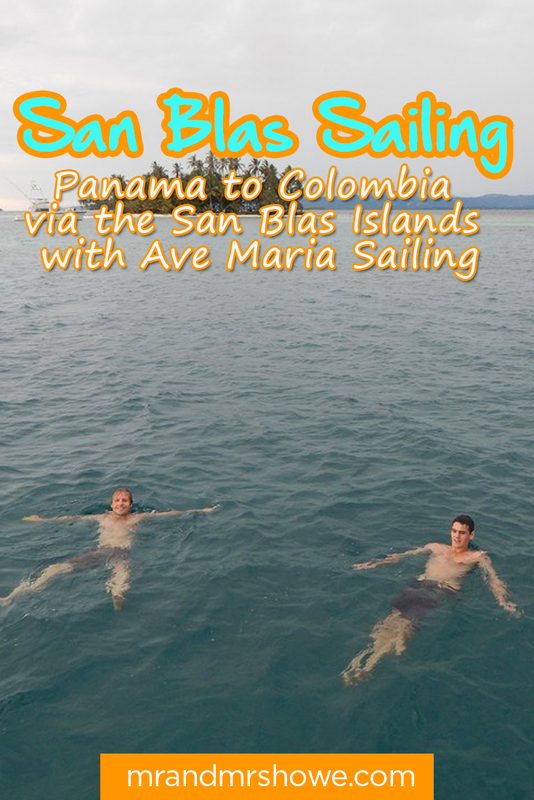 To find out more about Ave Maria Sailing and to book a San Blas Sailing trip, you need to contact them directly - email: avemariasailing@gmail.com or call Panamá + 507 608 94802/ Colombia + 57 314 887 3353.